The exteriors of game cabinets and Plexiglas® panels may be cleaned with any non-abrasive household cleaner. If desired, special coin machine cleaners that leave no residue can be obtained from your distributor. Do not dry-wipe the acrylic plastic panels, because any dust can scratch the surface and result in fogging the plastic. 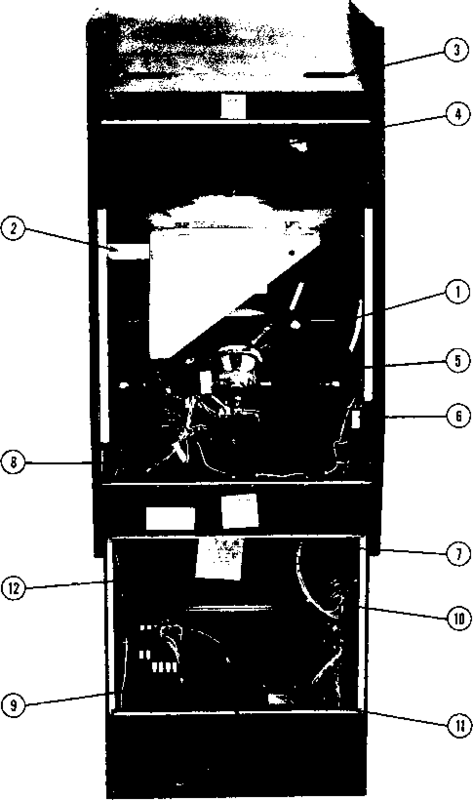 Figure 4-1 shows the back side of the coin door assembly where the game's two coin mechanisms are mounted. 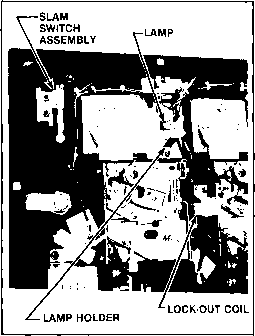 Included is the lock-out coil assembly; the lock-out wires are connected to this assembly but are hidden behind the coin mechanisms. Powering the game causes the lock-out wires to retract far enough to allow genuine coins to reach the coin box. When AC power to the game has already been turned off, the lock-out coil is de-energized, causing the lock-out wires to move out far enough to divert coins to the return chute. out to the front edge of the chute. When the trip wire is positioned correctly, a coin passing down the secondary chute and into the coin box will momentarily push the trip wire down and cause the switch contacts to close. 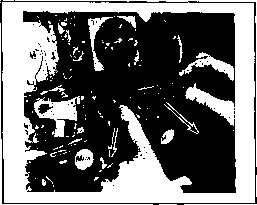 Also shown in the photograph is a slam switch assembly. It has been included to defeat any players who might try to obtain free game plays by violently pounding on the coin door to momentarily close the contacts on a coin switch. The slam switch contacts connect to the microcomputer system, which will ignore coin switch signals whenever the slam switch contacts are closed. To remove jammed coins, and for maintenance cleaning, each magnet gate assembly can be hinged open without removing it from the door, as shown in Figure 4-2. Or, if necessary, each coin mechanism can be entirely removed from the door merely by pushing down on a release lever and simultaneously tilting the mechanism back, then lifting it up and out. 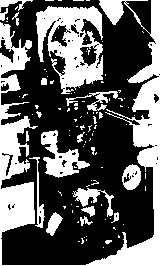 This is shown in Figure 4-3. Plexiglas® is a registered trademark of Rohm & Haas Company.